Reading the Maps: Did Israelite Vikings discover New Zealand? I've had hundreds of responses on social media to my piece for The Spinoff about Noel Hilliam and his notion of a white tangata whenua. Since the article was published the Northern Advocate has apologised for promoting Hilliam, and Heritage New Zealand has announced that it is investigating the Dargavillean tombraider. Some people have appreciated my piece for The Spinoff, but others have been very angry, and have accused me of being a part of the conspiracy that is both hiding evidence of New Zealand's ancient civilisation and persecuting Hilliam. Here's a dialogue I had on, on the (public) facebook page of the anti-Treaty Hobson's Pledge organisation, with John Yates. I think the dialogue is interesting, because it shows how pseudo-historical claims about the deep past of the South Pacific lead inevitably to absurd claims about European history. I wonder whether Hobson's Pledge isn't making a mistake by lining up behind someone as discredited as Noel Hilliam. Hilliam told the Northern Advocate that the skulls he'd found in the Kaipara had been examined by an unnamed expert, and that the expert decided that one of them had blonde hair and that both of them belonged to people born in Wales three thousand years ago. Anyone who knows anything about the study of the past will immediately recognise that statement as absurd, for three reasons: the colour of a long-deceased person's hair can't be deduced by an examination of their skull; Wales didn't exist, as a cultural or political entity, three thousand years ago; and there has never been a distinctively Welsh skull. Hilliam's own history of absurd claims - his insistence that he'd found a Nazi U boat in the Kaipara in 2008, for example - and his admission that he is part of the same cause as Kerry Bolton, New Zealand's most notorious neo-Nazi, further undermine his credibility. I disagree with the views of CK Stead on the Treaty of Waitangi and Maori-Pakeha relations, but I don't question his intellectual credibility and the value of his contributions to discourse in New Zealand. I can't say the same for the likes of Hilliam and Bolton. It seems to me that Hobson's Pledge could find better intellectual allies. I don't know the details of the claims about 16th century Spanish visitors to New Zealand that you mention, but there's a vast difference between a handful of Europeans coming down here then and Europeans arriving 3,000 years ago and building a civilisation here, which is what Noel Hilliam claims happened. The aquatechnology of Europe wouldn't have permitted a visit to this part of the world until the late Middle Ages. The Azores weren't settled by Europeans until the very late Middle Ages, and they are close to Europe. So tell me why it is impossible? Vikings have been around for such a long time,with origins in ancient Scythia (Ukraine) area and later know as Scots. All very able navigators before Maori even got out of bed. The Vikings were not around 3,000 years ago, when Hilliam claims that Europeans came all the way to New Zealand. A thousand years later Julius Caesar struggled to get an army across the channel to what is now England. The Vikings got to North America just over a thousand years ago by island-hopping - they went from Europe to Iceland to Greenland to Canada. The late date of European arrival in the Azores and much later date of landfalls at the Cape of Good Hope shows the limits of European sailing even in the second millennium AD. I think you are putting the Vikings in the wrong era and exaggerating the extent of their journeys John. They did not exist 3,000 years ago, when Hilliam claims New Zealand was settled, and even during their era of expansion, which was a little over one thousand years ago, when they crossed the north sea to America and also travelled along various waterways into Russia and the Black Sea, they got nowhere near Southeast Asia, let alone New Zealand. I don't think I've yet mentioned either the Polynesians or the Micronesians in my discussion with you: we've been talking about the Vikings. It's not that I'm against talking about other things: it's just that I'd like to get clear about Vikings first. My argument is that the Viking maritime expansion occurred in the early Middle Ages and reached its peak about a thousand years ago, when Leif Erikson reached America by island-hopping through the Arctic. Even during this period of expansion, the Vikings never got anywhere near Southeast Asia, let alone New Zealand. So I don't see how Hilliam's claim that NZ was settled 3,000 years ago can be made to fly using reference to a people who didn't even exist 3,000 years ago and who didn't even enter the southern hemisphere. 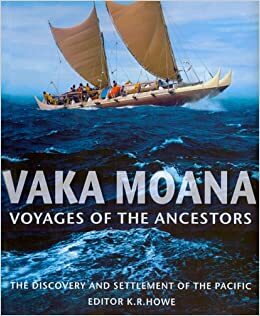 As for the Polynesians and the Micronesians: there are numerous first-hand accounts by early European mariners of their vaka making journeys across open oceans. The tradition of building oceangoing boats is continuous in some parts of Polynesia, like the Ha'apai islands of Tonga, and also in parts of Micronesia. My friend Visesio Siasau is best known as a sculptor, but he comes from a Ha'apai family of carpenters and shipbuilders. They build outriggers that can sail west from Ha'apai to fish in Fiji and north to Samoa. Theirs is a living tradition of boatbuilding and sailing. On a larger scale there are the voyages of the vaka Hokule'a, which was built according to traditional Polynesian and Micronesian principles and using traditional materials, and which has sailed all over the world. In New Zealand the tradition of building ocean-going vessels had died out some time before the arrival of Cook; Maori used waka tiwai, which had only a single hull, to travel along coasts and up rivers. Perhaps you're wrongly generalising from the Maori case and assuming that tropical Polynesians and Micronesians didn't make and use oceangoing vessels. As far as navigation goes, it's a fact that Cook leaned, during his Pacific voyages, on the Tahitian crewman Tupaia. Tupaia gave Cook advice about navigation, and drew a chart of the Pacific. The Micronesians had their own tradition of making navigational maps out of stick and coconut fibre. These maps depict the distance between islands in terms of travel time rather than sheer distance, taking into consideration currents and winds. Tongans had a very complex navigational system which involved anthropomorphic interpretations of the stars. I'm no expert on this subject, but I'd be wary of underestimating the navigational skills of the peoples who lived and moved across the biggest ocean in the world. I think you'll find that there is a long tradition of navigation by stars in Polynesian and Micronesia. The Tongan navigators had an amazingly intricate anthropomorphic map of the heavens in their heads, which they still use when they are crossing the sea. A friend of mine named Kik Velt, who is an astrophysicist as well as a longtime scholar of Tongan society, has published and analysed some of these maps. Polynesian navigators were cognisant of currents and the movements of birds, but many of the initial voyages of discovery from the Polynesian homeland around Tonga and Samoa to lands in the east were made against the current. I don't know whether the Egyptians had a superior knowledge of the heavens, but they certainly didn't travel anywhere near as far as the Polynesians. Since Lisa Matisoo-Smith's discovery of Polynesian chicken bones on Mocha Island, just off the coast of Chile, we have been able to say with confidence that they got all the way across the Pacific. Throwing something more into the mix. 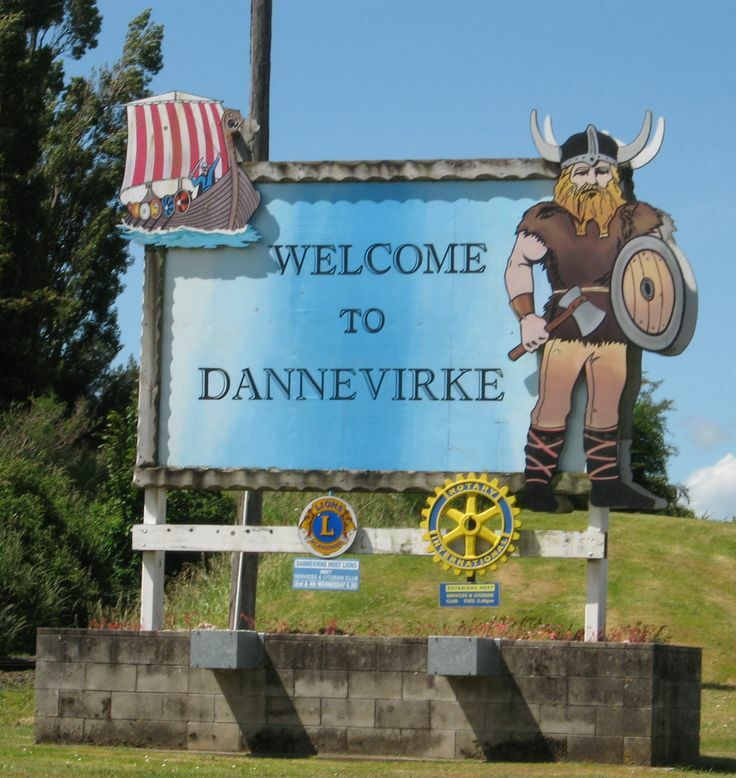 The folk coined as vikings, were Sakae, Caucasians, Danites- who were of course from the tribe of Dan of Israel collective, that went through the diaspora. They left their mark in the way, hence you have Ireland (anciently called Tuatha Da Danann- the tribe of Dan- Firbolgs), Swe(den), Scan(dan)navia, Dan(ube) Dn(eiper) etc. In Hebrew there are no vowels, so the name Dan is written DN, or its Hebrew equivalent. Thus words like Dan, Din, Don, Dun, Den, or Dn, correspond to the name of Dan. The Bible recalls when the Diapora was going on a lament 750-520 BC;- That Dan stood afar off in their ships. In the Book of Judges, we learn another trait of this tribe. In the song of Deborah and Barak, during the time of the Judges, the song asks, "Why did Dan remain in ships?" (Judges 5:17). Or, "Dan abode in ships." The tribe of Dan was a mighty SEA-FARING tribe, which loved to sail the seas. These are the vikings, lately known or sections of them. Food for thought. I'm afraid I'm a bit confused by this, John. Are you using the British Israelite theory, with its claim that the peoples of northern Europe are a sort of lost tribe of Israel? That notion was popular a century ago, but even then it involved ignoring an enormous amount of evidence. If the Vikings were descended from Israelites, how do you explain the fact that they spoke a completely different language? And how about the lack of genetic similarities between Jewish people and the people of Scandinavia? The haplogroup J, which is very common amongst Jews and points to an ancient genetic link, is virtually absent from Scandinavia. Well, for a start, heraldry plays a part, and Jews (from Judah)are not necessarily Israelite's, but converted to the the religion of Judah a principal remnant after the Diaspora. Israel had 13 tribes that were very ordered as you will find in Numbers. Succession of tribal identity, say a woman from Dan, married a member of Naphtali, she would be thereafter be a Naphtali. The marker of "Jews" is not a term the Israelite used, ever. Linguistically there are a lot of similarities between Hebrew and Gaelic, and language can die out and morph very quickly in the right circumstances. With New Zealand native dialects it was not uncommon from North to south they would have had trouble understanding each other. The Vikings made it to Greenland I think and one colony there died of starvation. They ventured into Northern Russia and we know also Britain etc but they didn't go anywhere near the Pacific. The Pacific Island peoples had a deep working knowledge of the sea and could locate almost every Island. Their expansion into the Pacific started possibly more than 40,000 years ago. The Egyptians didn't do much in the way of sea colonization. Reading Julius Caesar and Tacitus (I recall translating Julius Caesar from Latin as a teenager) the Roman's saw those of Northern Europe as Barbarians or savages. Caesar reported that they burned people alive and also practiced cannibalism. This may have been true or not but it is the kind of things Colonizers say in any case of those they conquer or want to move out of the way. But there is no way the Vikings got to the Pacific. The probability is very low. Wow, the cheese completely slid off the cracker during that discussion. Do these people not realise that Europe is full of it's own academics and archaeologists that couldn't care less about NZ and yet would not support these stupid claims about European prehistory. I've been working as an archaeologist in the UK the past year and the prehistoric and historic sequence is well understood and uncontroversial. These people can't even place the correct cultural group in the right geography let alone time period. In order to try and undermine NZ history these nutters try to go as far as rewriting the entire world prehistory along with hundreds of years of scholarly research from archaeology, anthropology, social geography, history, linguistics and other disciplines. We know a great deal about Bronze Age and Iron Age Britain and Europe, none of which even remotely support the claims these muppets make. I have heard the argument re the Vikings. Of course they explored a lot and went a long way but of course not as far as the Pacific. The problem with knowledge is though, that to know something, a person has to believe it. So even if (the thing to be known say k is true) then the person who would or might come to know this has to believe it. Also the belief has to be justified. Justifying it is also difficult. So many people believe things not easily verifiable or they simply stop believing certain things. It could apply to a scientist such as Richard Dawkins. There is no reason he might not wake up one day and suddenly find he doesn't believe anything he knows, let alone evolution. And knowledge is a social thing. So it doesn't matter if a minority of people (scientists etc) know or think they know certain things, the group, the socious, actually determine the "truth" of things. But regardless of these things, we have to stay alert. Why do we do these things? Why do we care? Because we know what can happen with these people. History however is still the nightmare we are in. Do you 2 realise you are arguing with a holy book? Saran dari saya.Bagi anda yang megalami masalah misalnya: sakit udah kemana-mana berobat gak kunjung sembuh, trasfer janin jarak jauh bagi anda yang mau punya anak, gugur janin secara ghaib hamil diluar nikah, butuh pesugihan ghaib tampa tumbal, butuh pesugihan uang balik, butuh ilmu pelet, butuh angka togel dan lain-lain. Hubungi/sms aja di no aki arso di 0852 9532 3157. Saya sekeluarga sangat berterima'kasih kepada aki arso karena saya jadi sukses berkat pesugihan beliau , berkat pesugihan tampa tumbal aki arso saya akhirnya bisa merasakan ketenanga,kebahagian serata mengatasi problem ekonomi kami dan saya sangat ber'syukur sekali,karena aki arso gak akan mengecewakan saya, dan berkat beliau membantu saya dalam pesugihan tampa tumbal Rp.200 juta dengan mahar cuman Rp,1,100,000.Dan alhamdulilllah akhir'nya saya bisa juga melunasi semua utang-utang saya. Ah the sound of "it's a conspiracy" coming from the little rooms of the pseudo-history proponents. The hilarious part is they tell us 'to do our research' whilst at the same time failing to follow up the ridiculous claims made by Hilliam and friends. I found the so called 'hidden' carbon dating by Taylor that was done on the Waipoua Forest sites. 14th and 15th century according to the reports I located onl8ine. Brilliant piece on the Spinoff site Scott. We're all a little tiredof people like Hilliam destroying our heritage with his grave robbing. Kia Kaha.